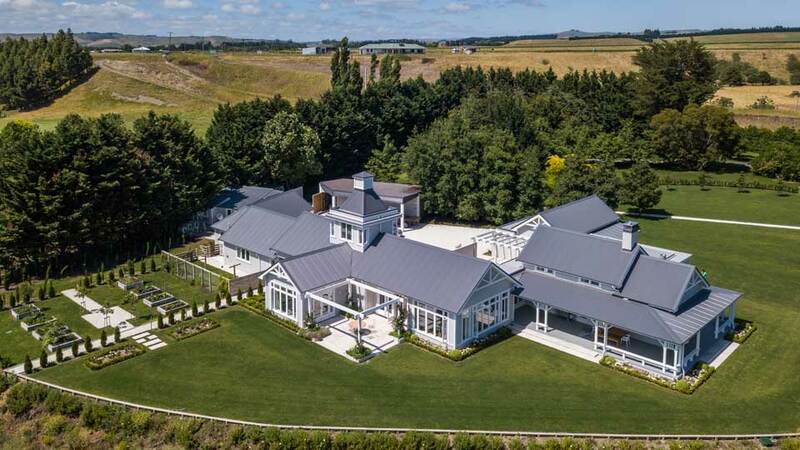 This new family home is nestled in the Hawkes Bay countryside. A rural home that has been designed to reflect traditional architectural aesthetics while at the same time including modern planning and amenities. This is a distributed house where rooms have been placed strategically to take advantage of site attributes and outlook. This planning is reminiscent of a property that has grown and expanded over many generations and the resulting character gives the house a real sense of belonging. Rather than slavish reproduction the architectural detailing is entirely custom designed which results in cohesive and well balanced proportions. Subtle ornamentation on skirtings, architraves and other features maintains a contemporary feel throughout the interior spaces. 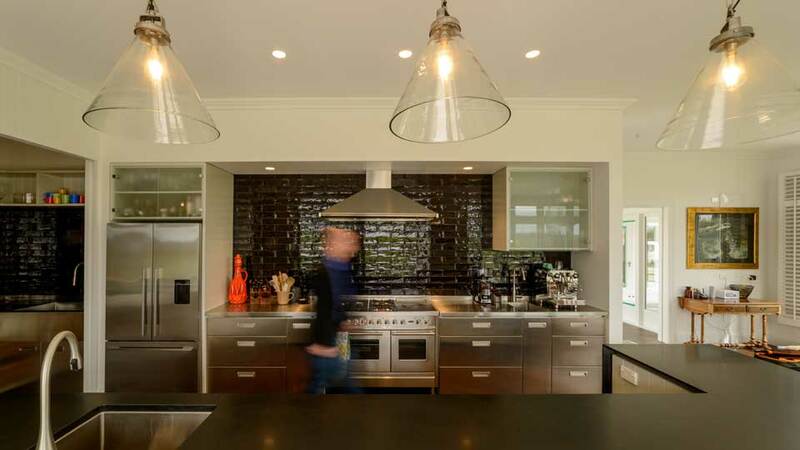 These features work beautifully with sharp contemporary detailing as seen in the kitchen and bathrooms. 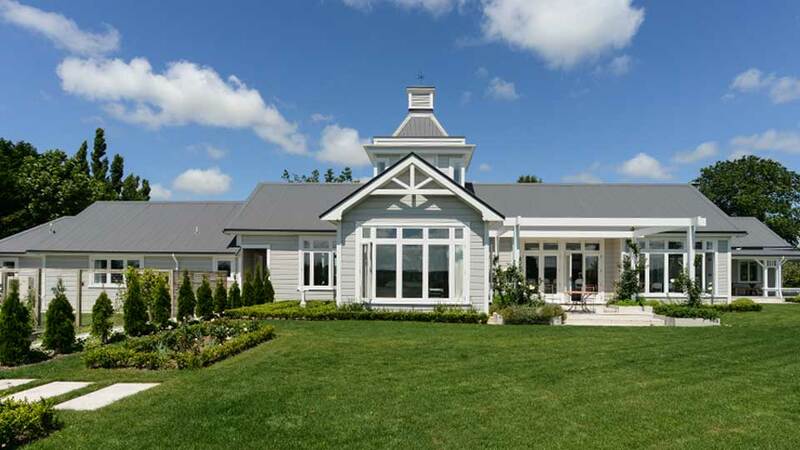 Extensive decks and outdoor verandahs are a feature of this house and this includes a generous outdoor room with operable louvered roof, perfect for those hot Hawkes Bay summer evenings.